This Sheffield pub, above, is owned by the city council, new data listing the scale of the authority’s property assets reveals. The Dam House, in Crookes Valley Park, is just one of the surprising buildings in the council’s portfolio. It also includes The Curator’s House cafe in Sheffield Botanical Gardens, Whirlowbrook Hall in Whirlowbrook Park and 50 shops on housing estates. 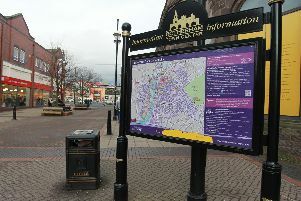 The council says the pub and restaurants are let to third parties and encourage visitors to parks while the shops contribute towards ‘thriving districts’. Taxpayers’ Alliance data also showed the council owned 38 farms – although the authority says the total is now 15, with two held for charitable purposes, after some were sold. Five golf courses, 60 car parks, five swimming pools or leisure centres and a theatre are also on the list. Jonathan Isaby, chief executive of the alliance, said: “It looks deeply hypocritical for councils to plead poverty as an excuse for hiking council tax when they’ve got such a huge asset portfolio. Council tax in Sheffield was raised for the first time in five years this year, by 1.99 per cent. The council says its ‘diverse estate’ is held for investment, regeneration community and environmental reasons. The last sale of a farm was in 2013 when Woodseats Farm, Bradfield Dale, went for £1.15 million at auction. A spokesman added: “The council acquired an agricultural estate mostly in the first half of the 20th century either as the former water authority or to provide land for future development. The council is acquiring properties for a retail quarter, including the Lion’s Lair pub and Embrace nightclub.